The new LabOne 17.12 supports waterfall diagrams to observe the temporal evolution of spectra. Welcome to the Q1 2018 newsletter! We're looking ahead to an exciting year 2018! Zurich Instruments is ramping up to continue our non-stop ten-year growth trajectory by seeking talent to take care of our customers and push innovation for the years to come. Along these lines, we are excited to announce the latest LabOne instrument software release with a wealth of new features. It is ready for download free of charge to all our customers. An upgrade to the user interface for impedance applications makes it even easier to use, the Parametric Sweeper is now able to generate Nyquist plots and extract Q-factors. In addition, the Spectrum Analyzer now has trigger and waterfall chart capabilities. See the LabOne Highlights page for more information. This edition of the newsletter also features an interview with our distinguished customer Prof. Marcos Dantus, sharing insights about his exciting work with pulsed lasers, companies he founded, and career advice for young researchers. Speaking of which, the Student Travel Grant 2018 is still open for application until June. Apply, travel, be inspired! Everyone using feedback loop applications (PIDS & PLLs) will find useful articles to make lab-life easier in our Application Know-how section. 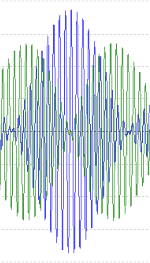 What's more, our Tips & Tricks section has advice on advanced AWG modulation schemes and how to record Nyquist plots. Marcos Dantus is leading the Femtosecond Dynamics and Coherent Laser Control Research Group at Michigan State University (MSU) in East Lansing, MI, USA, where he has been actively involved in ultrafast science research since 1993. 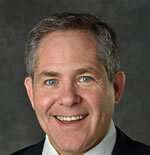 A fellow of the American Physical Society, Optical Society of America, and National Academy of Inventors, Marcos also founded four companies during his time at MSU. Marcos, many thanks for taking the time to talk to us. You’re well known as a leader in the use of ultrafast lasers, but how did it all start? Marcos: Well, I actually started studying Chemical Engineering, but it was soon clear to me that I wanted to look deeper into the science and I was also interested in instrument design. So, I decided to move to Brandeis University up in Boston, where I studied Chemistry. My interest in lasers started there too, when I was studying for my masters. Marcos: While looking for a PhD opportunity, I interviewed with Ahmed Zewail at Caltech and I realized he had very exciting ideas. I joined his group and within a year I was involved in the design and construction of the first laser lab to study chemical reactions with femtosecond (fs) time resolution, now known as Femtochemistry. At that time, it seemed like everything we did with lasers was a major breakthrough (Professor Zewail was later the recipient of the 1999 Nobel Prize in Chemistry for his pioneering developments in femtoscience). I stayed on with the group for my Postdoc and we came up with a combined laser and electron diffraction system, enabling us to track chemical structures with fs resolution. You next moved to Michigan State University (MSU). How did that come about? Marcos: Well, when I was looking for a permanent position after my time as a Postdoc, MSU made me an offer that I could not refuse. Looking back MSU has been a great place for me, both professionally and personally. I’ve been lucky enough to get really good quality students and Postdocs, plus I’ve been able to establish key collaborations to advance our research. I’ve also been involved with a number of start-ups during my time here, and the university has been very supportive: KTM Industries manufactures “green” packaging materials, Total Power Inc. develops and manufactures fuel additives, Biophotonic Solutions, which was acquired by IPG Photonics a couple of years ago, offers ultrafast pulse shaping optics and software. The latest startup makes sensors to detect possible concussive impacts in young athletes - ROSHsensors.com. Tell us about your current research areas. Marcos: It’s broken down into a couple of themes. In terms of fundamental research, I’m interested in chemical reactions under extreme conditions, in our case using high-intensity lasers with peak powers of 1015 W/cm2 or more. We look at what happens to structure and functional groups, and focus on hydrogen atom and molecule migration on the fs timescale. We’re also looking at superphotoacids and superphotobases and their behavior on fast timescales. This is of interest for some solar energy applications. In addition to this fundamental research, I’m interested in more applied research such as biomedical imaging and standoff detection of explosives. How do you choose your research areas? Do you look to follow the current trends? Marcos: I would say that I’m something of a contrarian and avoid what everybody else is doing. I like big challenges and if I see a gap in a particular area that I think I can address then I go for it. An example would be in standoff detection – I looked at what people were proposing and I thought that there were aspects of the problem that were being missed. I’m certainly not one for following trends! Looking ahead, I’m intrigued by machine learning. I believe that this is going to have a big impact on science and will have an influence on my fundamental and applied projects. An example is pulse shaping, where a computer-controlled fs pulse shaper could “know” what you want to do. I’ve already started on some collaborations in this machine learning area. So what advice do you have for academics and other scientists at an earlier stage in their career? Marcos: Well, first of all, you must really enjoy what you’re doing. Also, remember that every day can bring a new idea and you can be creative – few jobs or careers offer you that intellectual freedom. There’s also a maxim that I think everyone will find useful – “there are times to work hard and times to work smart.” Working hard makes the difference between good and excellent, but working smart makes the difference between being evolutionary and revolutionary. How did you find Zurich Instruments and the UHFLI/Boxcar combination in particular? Marcos: Like everyone else, I saw your adverts in Physics Today. I saw that the UHFLI operated at 600 MHz and my first response was “that’s pretty amazing!” I then saw it at CLEO and was intrigued, I got a much better sense of what it was. It certainly wasn’t just a lock-in but at the time I didn’t have an application for it. A little later I was under pressure to produce results for a standoff detection project, where I had a 2 MHz laser and needed to measure stimulated scattering to determine whether we had a loss or gain compared to a reference pulse. Now for standoff detection, there can be all sorts of samples, it’s not a “lab setup” with a cuvette; every pulse needs to be compared with a reference. Once we’d figured out what was needed we had a reason to buy a UHFLI – specifically for the high-speed boxcar capability. 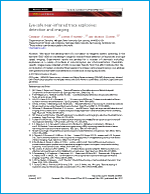 We contacted Zurich Instruments and explained what we needed. We didn’t want just a fast digitizer, as we’d have to deal with all the post-processing of data. What we wanted to do was measure two channels simultaneously, subtract the background signal from both, get the difference between them, average 4 or more pulses, send that number at hundreds of kHz to a PC for mapping as the laser scanned. Your Application Scientists were able to confirm that we could do this. When the UHFLI got to the lab, there was quite a learning curve – the instrument had no knobs, buttons, no screen! But my students picked it up quickly and within a couple of weeks were acquiring really high-quality data. We were able to get down to 60 µs per pixel and get some beautiful images (see Rasskazov et al, Optics Express, Vol.25 No.6). It was a big breakthrough, great for the program that the project was connected with, and so a major success! This was definitely something we couldn’t have done without Zurich Instruments. Our experiment had been optimized but we just needed fast pulse to pulse measurement - and Zurich Instruments enabled that. Thanks for those comments. What other products would you like to see from Zurich Instruments? Marcos: Well, for example, most boxcars are used at kHz, so if there was a lower speed version of the boxcar available that would be helpful. I could also envisage a very simple box, with just the fundamentals of what you offer, perhaps calling it the ziScope! You know, sometimes we as inventors go so far that people have hard time following it all and so an “entry point” instrument is very useful. Finally, what are your interests outside of the lab and your academic commitments? Marcos: I play tennis and swim regularly, and also compete in a “mini”-triathlon once per year. I’ve also been a rock collector since a young age. That’s probably where my interest in science stemmed from, wanting to know more about the first rock that I found and how it formed. This led on to needing to understand chemistry and then of course later lasers came along – lasers and chemistry are a great combination! Are you passionate about science, technology, and instrumentation? Then join our dynamic team and break new ground in high-end scientific instrumentation created for scientists and engineers in the leading labs around the world. Your desired job profile is not on the list? Please check our career pages for further updates in the upcoming weeks or send us your CV and motivation letter to . 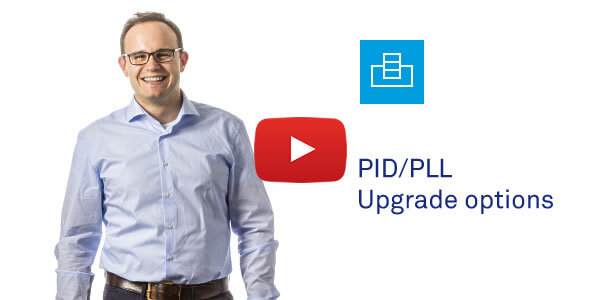 The PID/PLL options are among the most popular upgrade options for our lock-in amplifiers serving a wide variety of different applications. While phase-locked loops, for SPM and laser frequency stabilization, often require high bandwidth and benefit from phase-unwrapping, MEMS-based applications have very demanding modulation requirements. 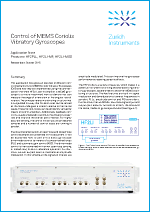 Check the application note Control of MEMS Coriolis Vibratory Gyroscopes to understand the details about the different wiring and modulation schemes used in this application. Check out Tim's short guide about how to work with Nyquist plots using the LabOne Sweeper. Nyquist plots display complex impedance data, plotting the imaginary part of the signal against the real part. The resulting circular graph shows the evolution of both real and imaginary parts as a function of frequency. Nyquist plots complement Bode plots when displaying impedance data. Find this feature in both our MFIA and our MFLI with MF-IA option. In addition, various baseband signals can be generated due to a rich collection of built-in functions and the user-defined signal upload feature. Student Travel Grants: Apply now for one of the 2018 slots! Are you a PhD student/Post Doc and (co-)author of a publication that mentions one of Zurich Instruments' products? If yes, then don't miss the deadline for applying for 1 of 3 travel grants of 1'500 Swiss Francs each! The submission deadline is June 30, 2018. For more information about the eligibility criteria and submission, click here. L. Lei, R. Xu, S. Ye1, X. Wang, K. Xu, S. Hussain, Y. Jun Li, Y. Sugawara, L. Xie, W. Ji, and Z. Cheng, "Local characterization of mobile charge carriers by two electrical AFM modes: multi-harmonic EFM versus sMIM" in Journal of Physics Communications, Vol. 2, Issue 2 (2018). B. Gallacher, J. Burdess, Z. Hu, H. Grigg, C. Dale, J. Hedley, C. Fu, J. Spoors, N. O’Meara, and N. Keegan, "Experimental verification of a quasi-trapped degenerate mode magnetic acoustic resonator" in Sensors and Actuators A: Physical, Vol. 269, p. 238-248 (2018). T. Wagner, F. Menges, H. Riel, B. Gotsmann, and A. Stemmer, "Combined scanning probe electronic and thermal characterization of an indium arsenide nanowire" in Beilstein Journal of Nanotechnology, Vol. 9, p. 129-139 (2018).